A sweet tart pan so I can make my very own fruit tarts. Thanks for inspiring my cravings and eventual weight gain, “Great British Bake Off”! This adorable neuron necklace. Yes, I’m nerdy. A bottle of this limited release wine that looks super tasty, but is a little pricy for a non-holiday occasion. When I find something I want, even if I can’t afford it right away, I can get some satisfaction by having it on my wish list, where I can (and do) ogle it on the regular. And if it sits there long enough without me finding the funds to buy it, I sometimes discover I didn’t really want it that badly in the first place. Talk about a money saver! But my favorite part of keeping a wish list is actually treating myself to some of the goodies on it when I save enough cash. There’s only one problem: Saving money is really hard. Sometimes, my savings plan is derailed by unexpected minor emergencies. An unplanned trip to the doctor or a flat tire can make a pretty big dent in a 20-something’s bank account! But I can’t deny that another factor keeping my savings game from getting stronger: impulse buys. To be proactive about my savings, I automate them using Digit… but it’s so easy to move the money back into my account if I see something I want right now. And I don’t want to lose track of my long-term goals, be they wish-list items or more important, bigger picture ones, like saving to buy a home. But a recent post I saw at Lifehacker got me thinking. The post describes Antonio, a business owner who found exercise so tedious that he couldn’t bring himself to do it, even after receiving doctor’s orders. Burning calories didn’t motivate him… but improving his willpower did. So, Antonio stuck a sticker saying “willpower” over the word “calories” on his step counter to gamify his workouts and feel like he was earning something he really wanted. How could I apply this to saving money? What Can Your Money Buy You? Well, I could easily look at my Digit balance and think of each dollar I don’t touch as a willpower point gained. But then, I thought about my wish list. What if I thought about my savings in terms of the actual items I’m hoping to eventually purchase with them? That money could buy me seven bottles of fancy wine, 12 neuron necklaces and three of those jackets I’m lusting after. But it’s not even close to the cash I need to fund, say, that trip to Ireland I’ve been eyeing on Groupon. In fact, I can do the math to discover exactly how close (or far) I am from achieving that savings goal: I only have 35% of the cash I need to get go on the trip to Ireland, and that’s before all the money I’ll need for food and other goods once I’m over there. And if I can’t manage to scrape together almost $600 in the 10 days left on this Groupon and have to pay full price (likely), I’ll only be 19% of the way there. So right now, I can buy three pretty athleisure jackets… but just a third of a trip to Ireland. That really puts things into perspective. I mean, I already have enough clothes, right? That money can stay right where it is. For now. So next time you’re tempted to blow your savings on something that steals your heart but probably won’t make you happy in the long run, think about what else that money could buy — and what it can’t quite, yet. 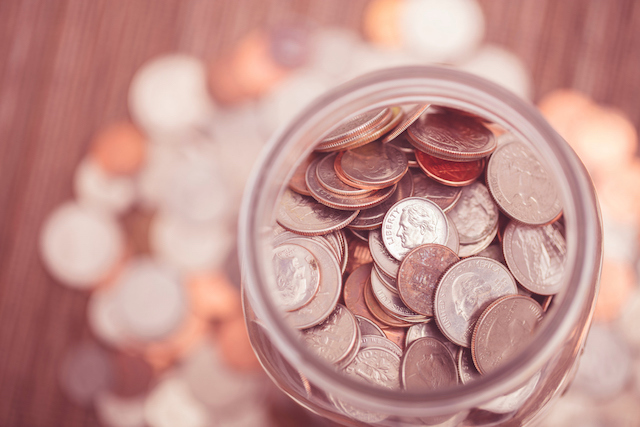 Your Turn: Will you use this psychological hack to help you keep your savings where it is?